In 1779, the country that would become the United States of America included British, French, and Spanish colonies. The British colonies had declared independence from England, and the other colonies sided with their fellow Americans. One of the people who helped was General Bernardo de Gálvez, Governor of Louisiana. Louisiana in those days was the enormous tract of land known as the Louisiana Purchase, not the smaller state of Louisiana we know today. It belonged to Spain at that time. Galvez was in charge of land from the Gulf of Mexico to Canada. Britain owned West Florida, also much bigger than the state of Florida today. With war in the northern colonies, West Florida was growing in population as people took refuge there. The population began to rival that of Louisiana, and Spain had no choice but to see England as a threat. Galvez was busy working to unite the people of Louisiana. Many didn’t know that Spain had taken over their territories, and still thought of themselves as French colonists. Many were angry with Spain. The French habitants of places like Arkansas were posted there temporarily, and looked forward to heading back to France from the malaria-ridden swamps of Louisiana. Galvez had provided supplies to the rebels in New England. When war broke out in 1779, he raised a multicultural militia including people of French, Spanish, Acadian, African, Native American, Swiss, German, and Mexican descent. Together, they captured British forts in Baton Rouge, Natchez, Mobile, and Pensacola. Hurricanes interfered with the plans of Galvez’s troops, but Galvez was known for his strategic thinking, for his courage, his ability to encourage his troops, and for his determination to avoid civilian casualties. War is always a terrible thing, but Galvez did his best to limit damage to the homes and families of his opponents. 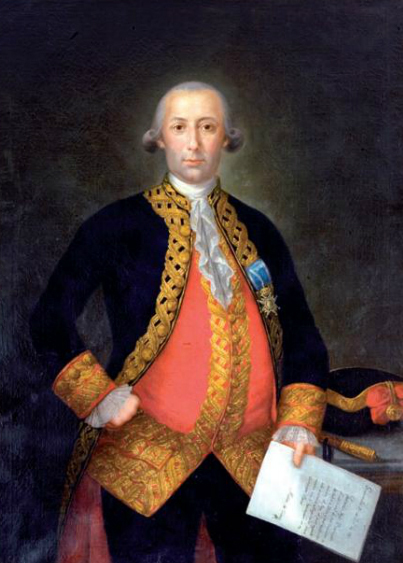 Bernardo de Gálvez was loved and respected by the people of what would become the Southern United States. Spain ceded Louisiana to France in 1801, and the United States bought the land in 1803. Spain ceded Florida to the U.S. in 1821. While not as well known as Lafayette, the French general who helped the American colonists, Galvez is remembered in the name of Galveston, Texas. He was declared an honorary U.S. citizen in 2014. While the battles he was involved in were battles between Spain and England, they were very important in the American Revolution. When you teach about the Revolutionary War in places like Florida, Louisiana, Alabama, and Mississippi, including Galvez and his men can make the lessons seem more relevant to your class. This kids’ book tells the story in an accessible and entertaining way. Read about the life and adventures of Galvez. This article from the National Parks Service is a good reading passage for secondary level students. More difficult to read but also more detailed and exciting is an article from American Heritage. High school students should find this comfortable reading, or read it yourself for background. Eduplace has a much simpler passage with a couple of comprehension questions. The Texas State Historical Association has a series of videos about Galvez and his adventures. The Smithsonian’s Latino Patriots lesson includes Galvez. Another PDF lesson plan includes a Hispanic Heritage Month crossword puzzle. This lesson plan also includes a timeline. Add the dates to your classroom timeline. The story of Galvez’s military adventures is an exciting one for kids who enjoy military history — and many do. Use action figures to map the March of Galvez from new Orleans to Pensacola. Galvez also used pirates to help control the movements of British ships. England and Spain had been involving freebooters in their conflicts for some time. Read more about the connection. Use our Pirate Writing Lessons to help students create classic essays about the involvement of pirates in U.S. history.